Brad Kullberg has extensive experience in intellectual property (IP) strategy, management, valuation, licensing, monetization, and litigation. He has provided expert testimony on damages in patent and copyright infringement and trade secret misappropriation cases, as well as on industry licensing practices. 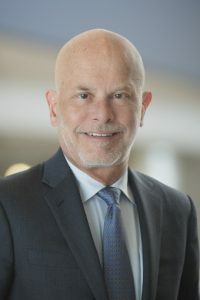 In addition to his broad corporate experience in patent and brand licensing, product development, business development, and corporate strategy, he has provided expert transaction and advisory services to clients across a range of industries and technologies, including IP transactions involving troubled companies. Mr. Kullberg has developed and implemented IP monetization strategies designed to generate maximum value while aligning with overall corporate strategy. He has marketed, licensed, purchased, and sold IP around the world. He has evaluated patent infringement claims and led negotiations resulting in license agreements, often in the context of litigation by the IP owner, and has managed patent and brand licensing businesses as both licensor and licensee. Prior to joining Nathan, Mr. Kullberg was Managing Director for IP Services at Berkeley Research Group (BRG). Before BRG, he was Vice President of Patent Transaction Services at a global IP transaction and advisory services firm, where his work included patent buying for anonymous clients and contingency patent selling on behalf of IP owners. He also has worked as Vice President of Corporate Business Development at Polaroid Corporation, where he led technology and brand licensing activities related to the company’s imaging and consumer electronics businesses. His 30-year career at Polaroid included roles in corporate business development, global marketing strategy, program management, and technical and operational assignments. Mr. Kullberg is Certified Licensing Professional and an active member of the Licensing Executives Society, where he is co-chair of the Boston chapter.